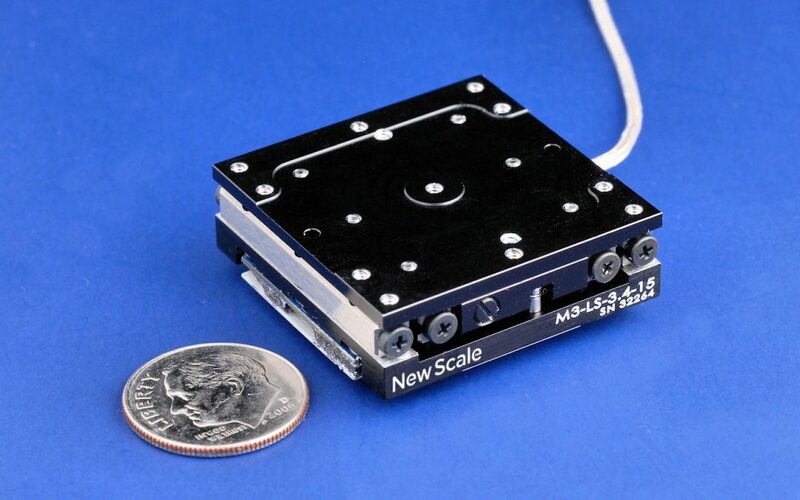 Victor, NY – May 30, 2017 – New Scale Technologies, Inc. today announced its M3-LS-3.4-15 Linear Smart Stage, a direct-drive precision piezoelectric micro stage with embedded controller designed for integration into compact OEM instruments. The newest smart stage is a higher-force, longer-travel addition to the company’s M3-LS line of all-in-one micro stages with built-in controllers. 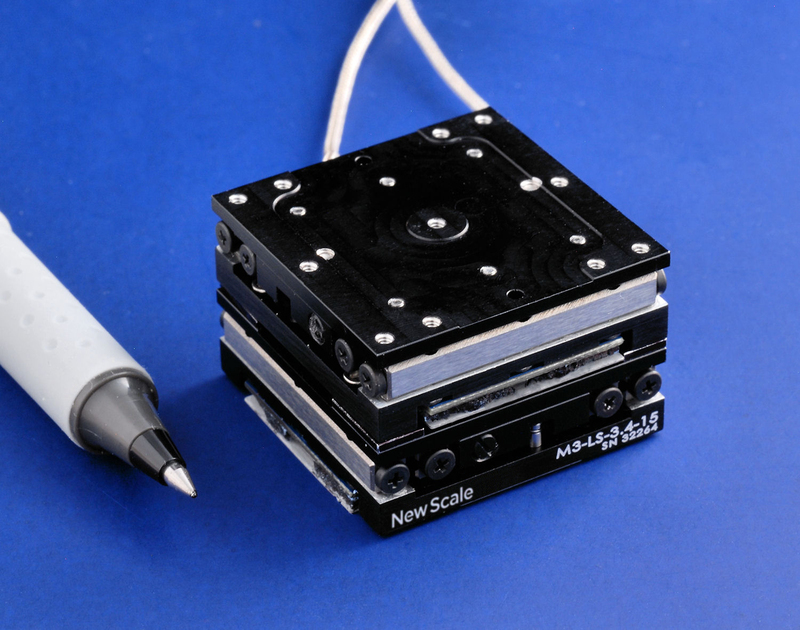 With low acoustic noise no internal high voltage, the M3-LS smart stage is superior to piezo inertia (stick-slip) stages, especially when embedded in near-patient instruments and wearable devices. 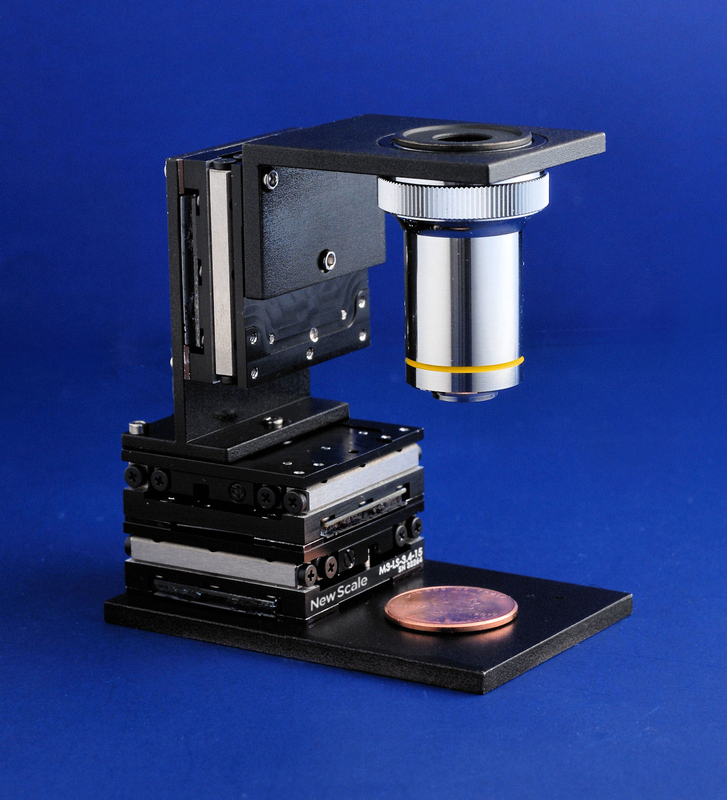 M3-LS-3.4-15 Linear Smart Stages in three-axis (XYZ) configuration with microscope objective (not included). For complete specifications see the M3-LS Linear Smart Stage information page or download the data sheet (PDF). DK-M3-LS-3.4-15 Developer’s Kits include one M3-LS-3.4-15 Linear Smart Stage, USB adapter and breakout board, power supply, New Scale Pathway™ software and accessories. Developer’s Kits will be available in Q3 for $2,500 from New Scale. For volume pricing on stages or to pre-order a kit email NSTsales@newscaletech.com or call (585) 924-4450.